To book a room via the Organizing Secretariat you have filled out and sent a suitable accommodation form before May 20th , 2017. Please download PDF of the accommodation form here. Villa del Grumello has a guest house (“foresteria”) with 19 beds in 2- or 4-bed rooms. The rate is 33,00 euros per night (breakfast not included; a kitchen for self-preparing breakfast is available) in rooms to be share. Only shared accommodation is possible. The Guesthouse has no 24h open reception. * If you are forced to arrive later please contact us to organize the keys pick up. **The room has to be left and luggage has to be removed from your room by 10.00 but can be stored in the Villa until your departure if the school is not finished yet. A few rooms have been blocked in 3 star hotels in Como, with rates ranging from 70 to 120 euros per night (breakfast included). 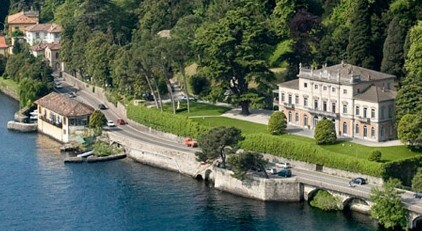 Click here for further information on how to reach Como. Villa del Grumello is 20 min on foot from the city center – you can also take a bus, line 6 and line 11. Download the timetable. Bus stop: “Como Via Regina Piscine Villa Olmo” (it is not indicated in the timetable, but it’s just after “Villa Olmo”).